Custom Website Theme Design Manual: The custom theme design process Design Custom Website Themes for your Monkey Business Website. 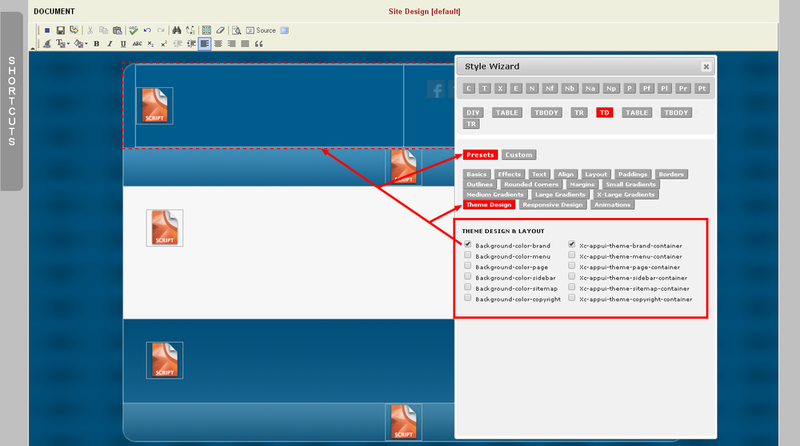 Launch the Style Wizard to style and create CSS code for the design. Use appropriate Content Managers so users can publish content easily. 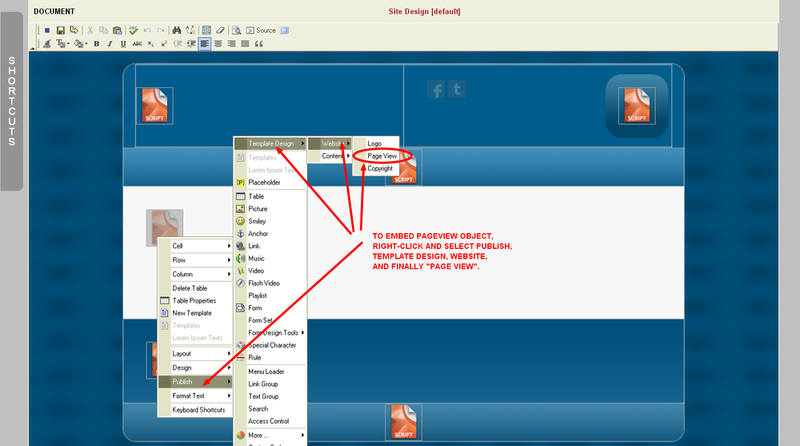 Create placeholder content for required preview pages ( home, about ). Style major user interface elements as needed. Open the website template in the editor and either create the HTML layout you want or copy / paste ( in CODE view ) the HTML layout code you already prepared. Embed all relevant Content Managers in the layout code as needed. The only required Content Manager is the Pageview Object. You must embed the Pageview Object in your HTML code so Monkey Business can know exactly where to embed contents of the Page. Monkey Business Theme Design classes allow users to use the Style Wizard to quickly and easily customize the look, feel and design of the theme. To support this, you need to apply these classes to the relevant content containers in your design. Monkey Business currently supports 6 main theme content blocks for theming. These are ( brand, menu, page, sidebar, sitemap and copyright ). 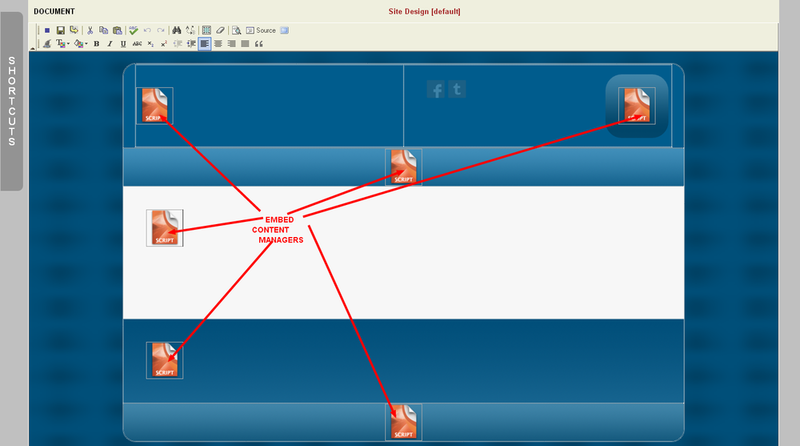 Simply select these content blocks in your layout and apply the classes to them. There are 2 sets of class names; you must apply 1 class from each set for each container. For example, as shown in picture above, for brand, you must apply both the background-color-brand and xc-appui-theme-brand-container names to the brand content container in your HTML layout.